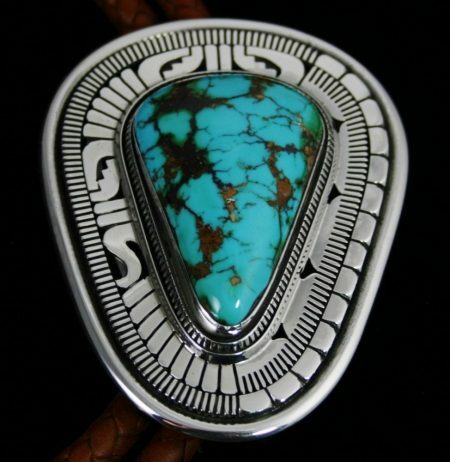 Collectible Native American jewelry is always made with the finest quality natural American turquoise. 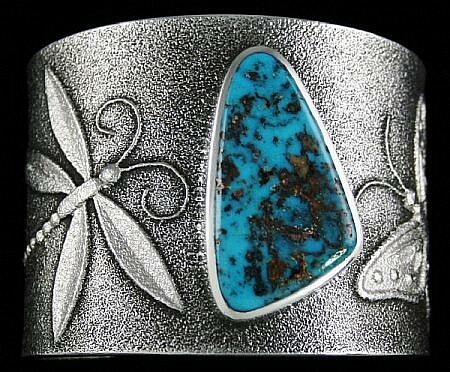 Welcome To Turquoise Direct! 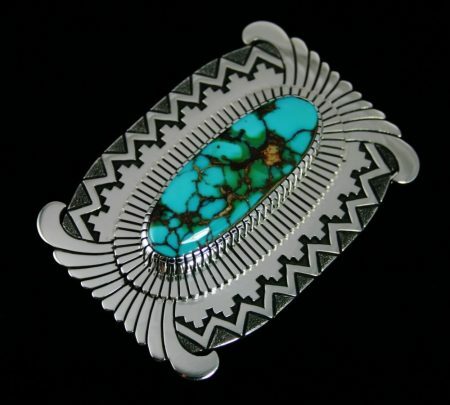 Please Enjoy Our Winter Sale And Free Priority Mail Shipping! 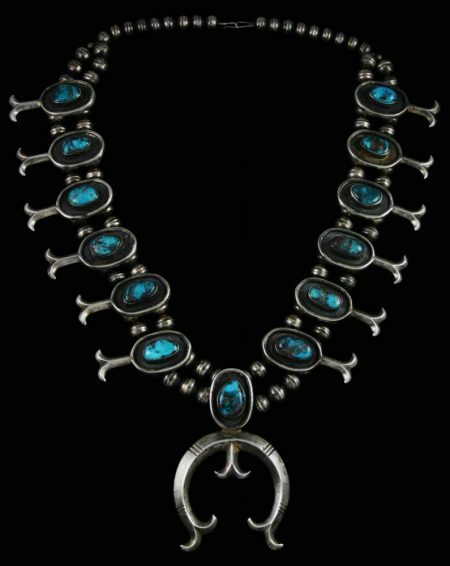 An incredible seventeen rare gem grade natural Nevada Blue turquoise cabochons were used to set in this outstanding necklace created by Julian Lovato. 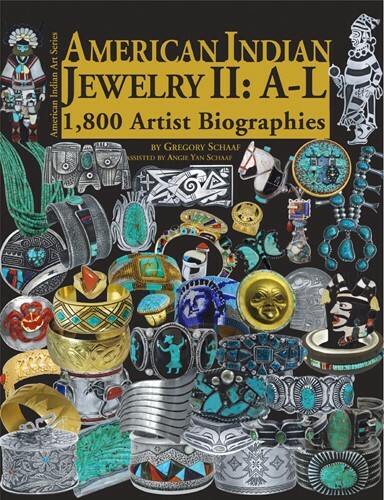 The cabochons were collected by the artist in the 1990s and are seldom seen on the market place today. 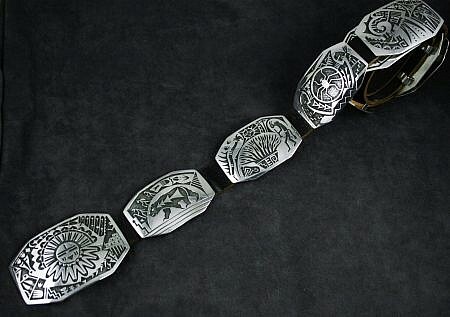 The stones are the classic look from the mine with complex reddish-brown, chocolate and gold spiderweb matrix. 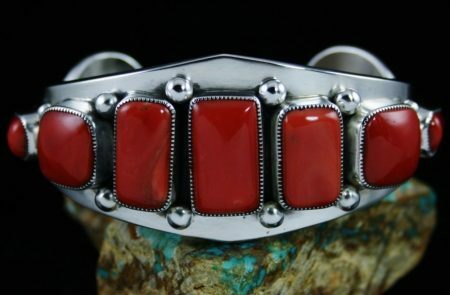 Julian has set them in his clean and austere design, often called the "Pueblo style" which he helped to create starting in the 1940s. 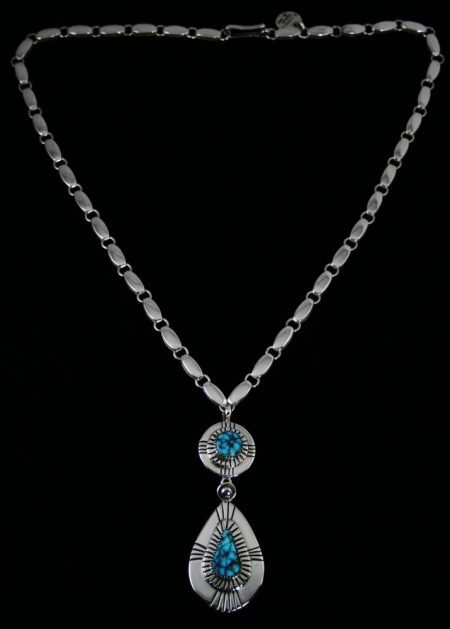 The stunning pendant is connected by a heavy handmade link necklace often referred to as a dot dash style. 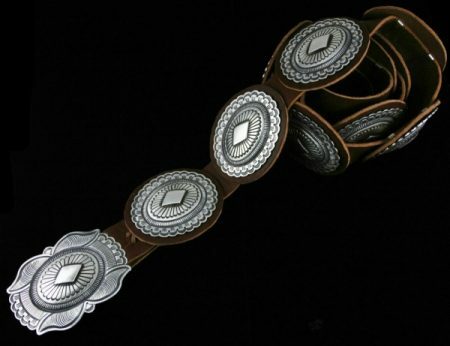 The finished piece is rare in quality, materials and is perfect for a collection of the highest level. 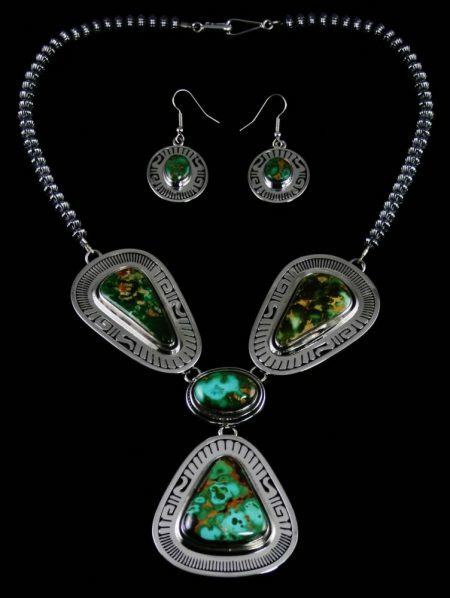 Pieces by Julian are very seldom seen and are an event in itself. 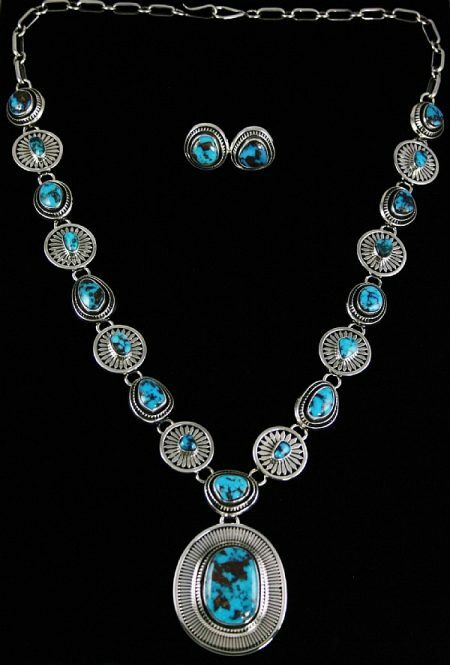 Turquoise Direct is the home of authentic handmade turquoise jewelry that is designed by award winning Native American artists. 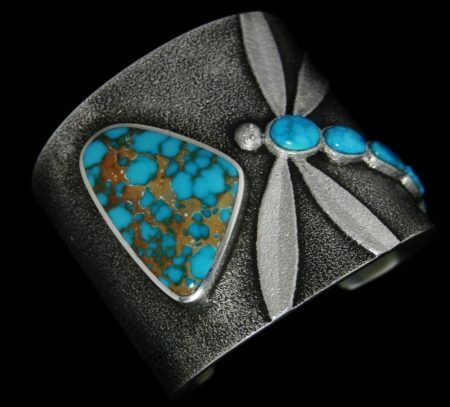 This unique jewelry is created with the finest natural American turquoise and set in exquisite contemporary and traditional silver and gold designs. 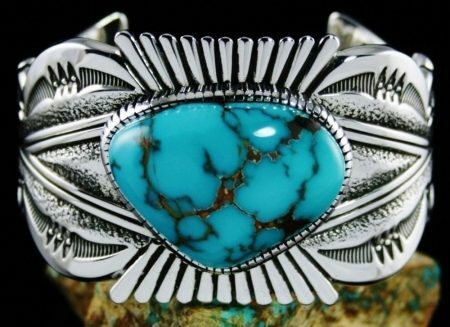 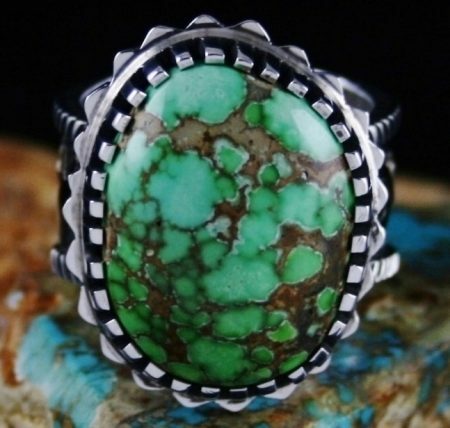 Turquoise Direct offers a stunning selection of new and old Native American jewelry. 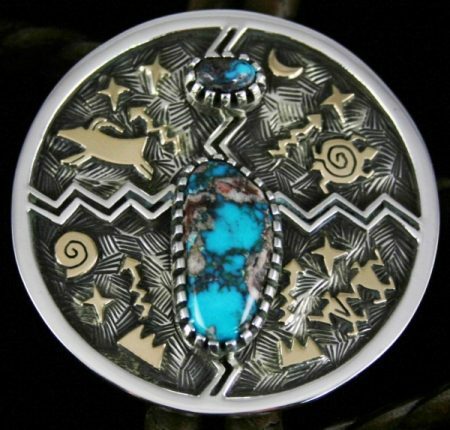 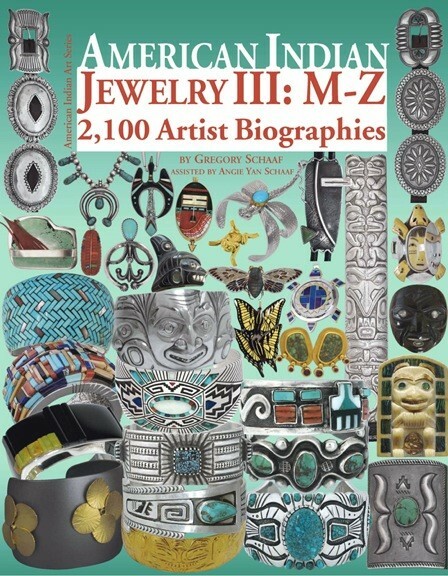 From bracelets to earrings, necklaces and rings to buckles and bolos, one can find a wide range of jewelry designs here, each created by some of the most collectible and highly respected Native American artists in the Southwest. 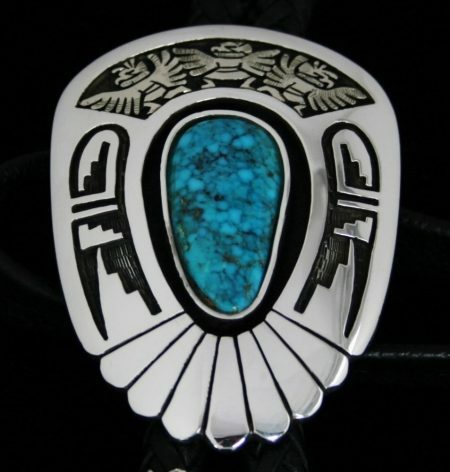 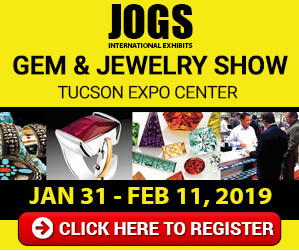 All jewelry is available at highly competitive prices as we deal directly with the Native American jewelers and the American turquoise miners. 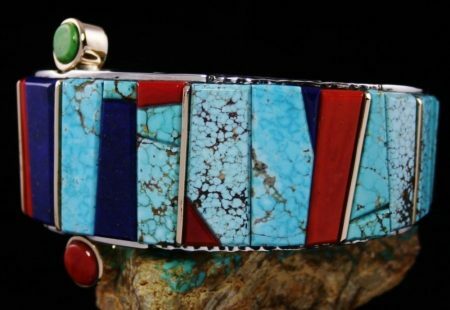 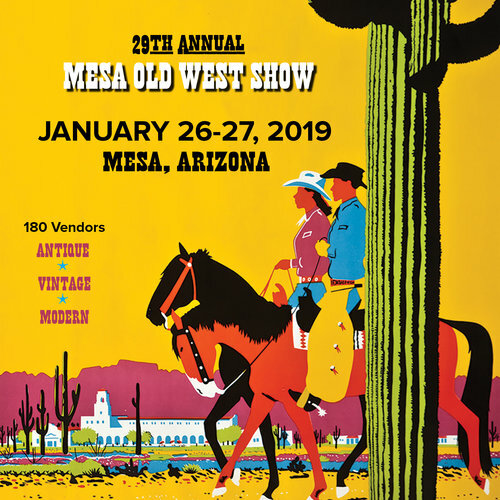 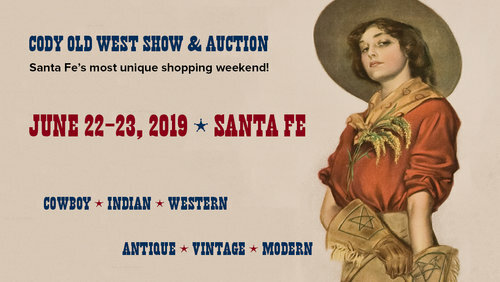 Among the award-winning artists featured at Turquoise Direct for American Indian jewelry are Calvin and Terry Martinez, Sammie Kescoli Begay, Ned Nez, Tommy Jackson, Arland Ben, Al Joe, Leo Yazzie and many others. 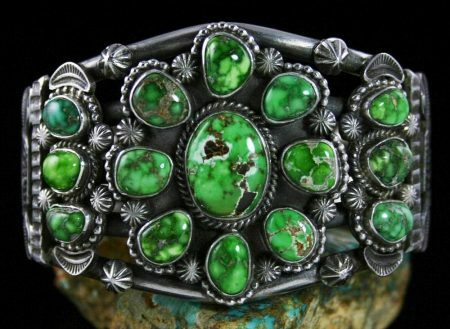 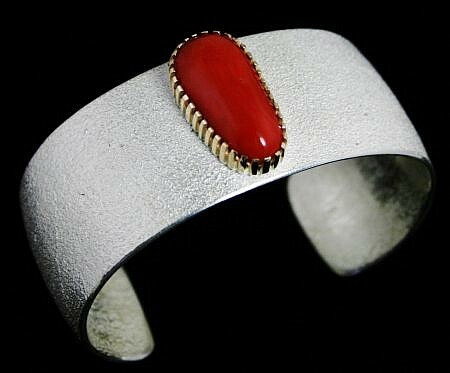 Native American jewelry can be worn on any occasion. 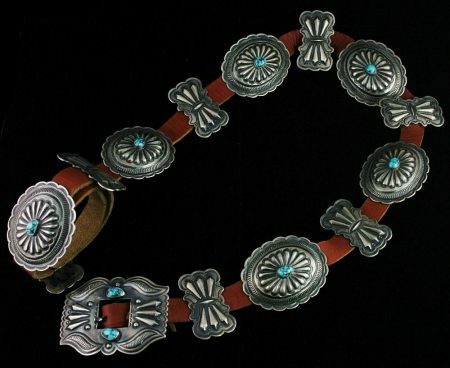 From casual jeans to the most elegant evening wear, American Indian jewelry is unique and reflects the owner’s individual style. 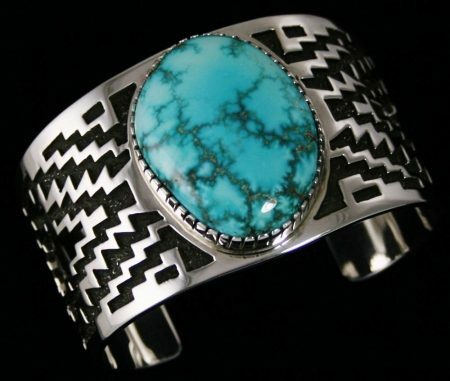 Turquoise Direct offers the finest sterling silver jewelry. 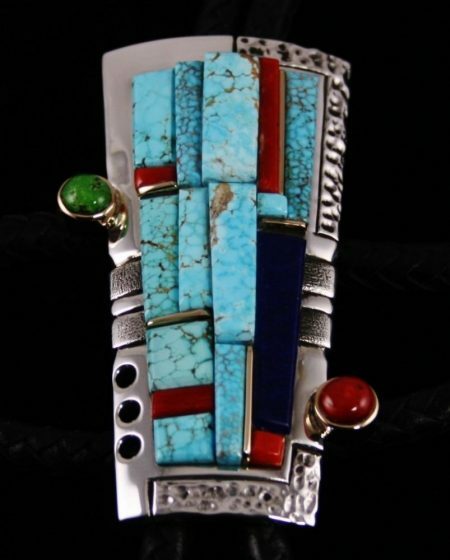 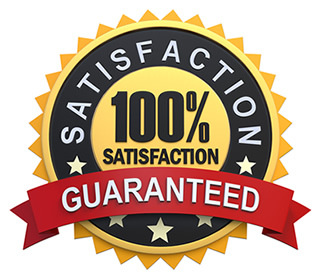 Turquoise Direct is a family owned business with nearly 40 years experience. 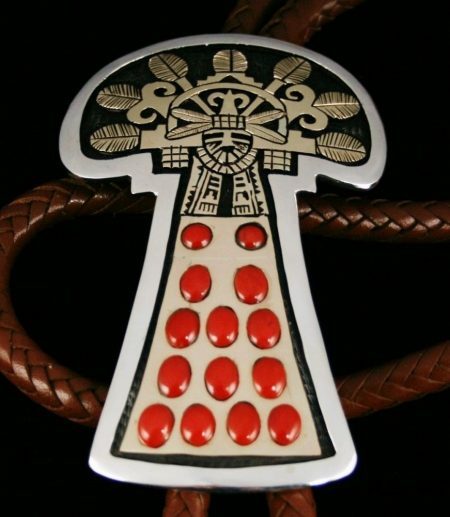 Each piece purchased comes with its own certificate of authenticity, assuring the collector of the name of the artist, the tribal affiliation, materials used and retail value. 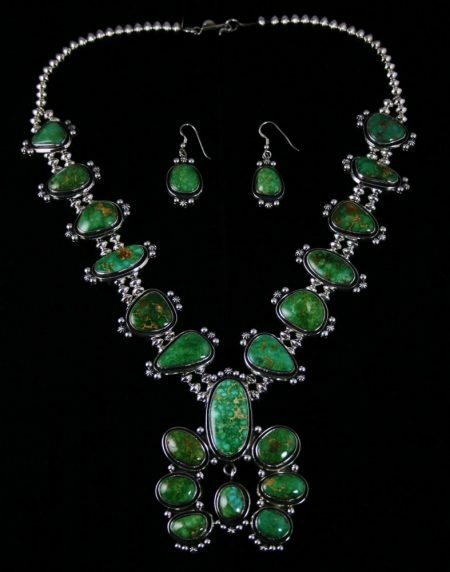 Custom pieces are also available. 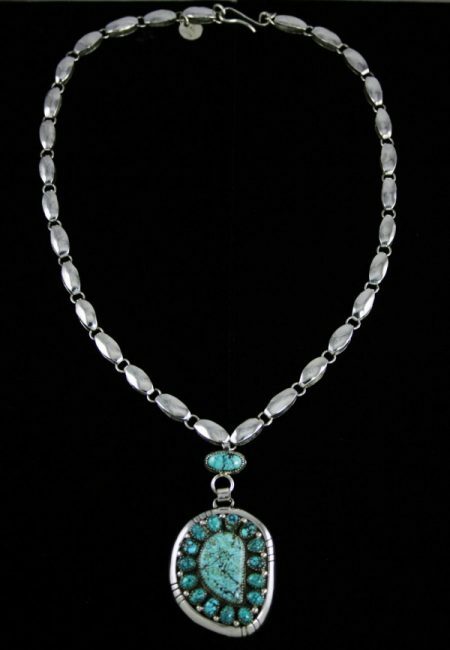 Please browse the website for further information and to view the wide variety offered.